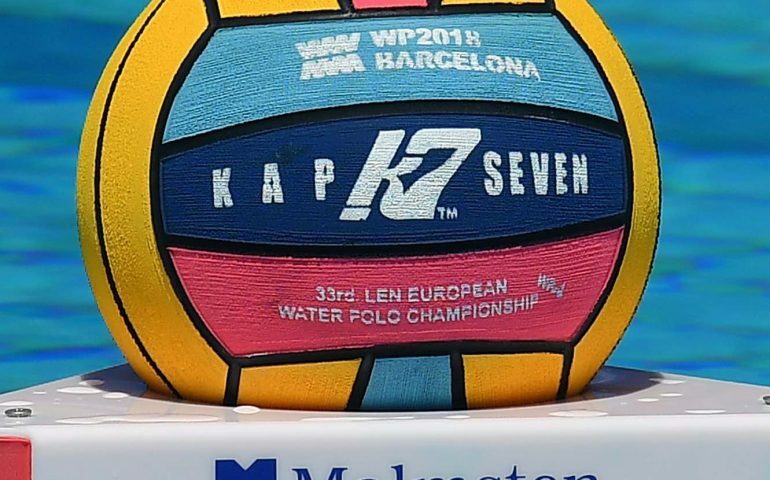 The Netherlands clinched the title for the first time since 1993: they beat Greece 6-4 to claim the nation’s 5th gold at the women’s European Water Polo Championships. This ties Italy’s record and gives them back the top rank on the all-time medal table. The Greeks had to settle for silver for the third time and yet to earn their first gold. The bronze remained in Spain as the hosts beat Hungary with ease. The Netherlands returned to the throne after 25 long years. The most successful nation of the early days was close in the previous two editions but lost the finals. The Greeks were chasing their first title at the Europeans after similarly lost back-to-back finals in 2010 and 2012. The Dutch took the better start and gained a 2-0 lead, the Greeks needed some more time to settle in the game and four more man-ups to make it even in the second period. In a span of two minutes four goals came, Catharina van der Sloot’s 10m shot was a beauty and gave a 4-3 lead to the Dutch. After the electrifying moments the ladies tested the woodworks at both ends (the Greeks hit the post from three consecutive possessions, the Dutch did it twice). Then the sides entangled into a tactical battle, the zone-defending took over and teams didn’t risk too much. The Dutch could earn a man-up after four minutes and Maud Megens’s blast did the harm. Two minutes later they could have gone +3 up but Megens hit the post from the next man-up, still, Greece continued struggling in front. Their drought lasted embarrassingly long, 15:33 minutes, and even if Nikoleta Eleftheriadou broke their silence with 4:21 to go in the last period, van der Sloot replied immediately with a magnificent lob from 7m for 6-4 (she was named the MVP of the tournament). Time started running out for the Greeks, since they lacked the precision which helped them ousting Spain in the semis. They took 22 shots but 11 were either missed or hit the post – just like in their last 6 on 5, when the ball jumped over the bar. This also credited the Dutch defence which did a tremendous job by killing 7 out of 8 Greek extras, headed by the tournament’s best goalkeeper Laura Aarts. Soon the Dutch started celebrating: they were over the (red) moon. The other games turned into lopsided contests. Spain needed eight minutes to take a decisive 1-5 lead against Hungary. The hosts slowed down a bit later and the Hungarians even had a man-up early in the third to come back to two at 6-3 but missed it, and a Spanish double in 52 seconds settled the game once and forever (the shots taken tell part of the story: it was 21-31 to Spain). It means that Hungary missed the podium for the 4th time in the 17 editions since 1985. Russia beat the Italians with surprising ease for the 5th place, after a relatively balanced first half, the third period proved decisive when the Russians jumped to a 6-goal lead and never looked back. The French also thrashed the Germans for the 7th place.